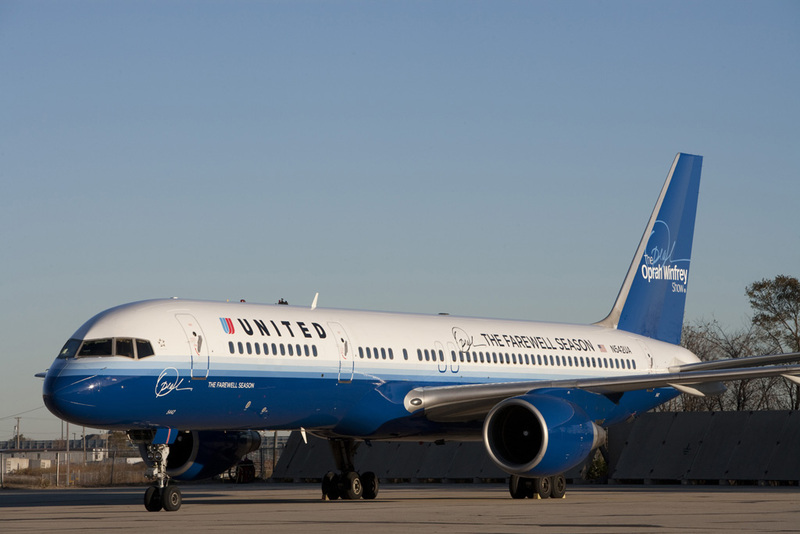 United Airlines creates a special Boeing 757 to honor Oprah Winfrey and the final season of her talk show. The plane is designed with Oprah’s logo on the nose, tail and body of the aircraft. The interior is decorated by Oprah herself, and passengers will be greeted with a special video from Winfrey, as well. The plane will operate throughout United’s domestic network through May 2011. Below is a video of the plane being painted.